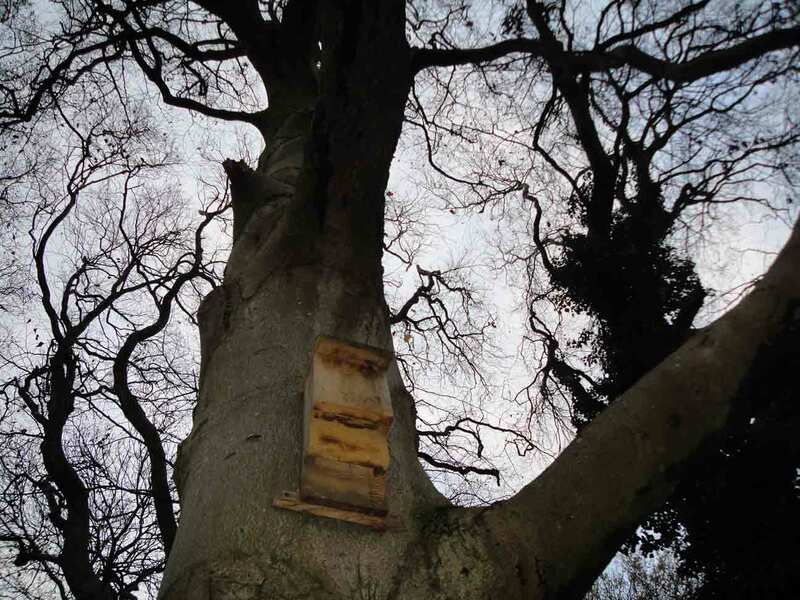 A while ago, the Committee of the Friends of the Three Cornered Copse decided to put up Bat Boxes as part of our work day sessions. These are now in place and have been made from oak, so will hopefully last a long time. They have been sited on a few of the larger trees in the Copse, so why not take a stroll and see how many you can find. (The pictures above will show you what to look out for). 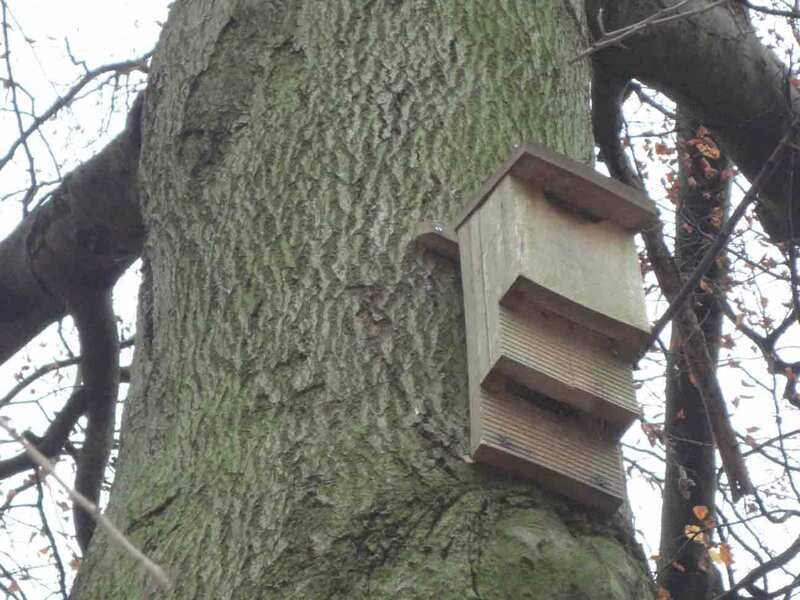 You will notice that the box has a 'bat ladder' that leads to an entry slit wide enough to admit bats, but narrow enough to keep out predators. (Once up, a bat box cannot be opened legally without a licence). Bats don't like draughts, and prefer well insulated boxes where temperature and humidity remain constant. They also need a rough textured wood to cling to. Some bats use a tree line or hedgerow for navigation. So careful planning was undertaken in putting our boxes near these features which help the bats find the box. Bats need time to find and explore new homes, and it may be several years before boxes have residents, we haven't seen any occupants yet, so will need to be patient. Droppings on the landing area, urine stains around the lower parts of the box and chittering noises from inside on warm afternoons and evenings are signs of occupation. If you do hear or see these signs, please do let us know. Thank you. The Friends Group will meet up again on Saturday 31st January 2015 then in again March. The work day starts at 10.00am until 1.00pm, always gathering at the bench at the bottom of the green slope, just in front of the grove of Silver Birches. There is always work to be done, and we have planned activities for future work days: laying of wood chippings in the areas which tend to become waterlogged and carry out a general tidy up of the area.